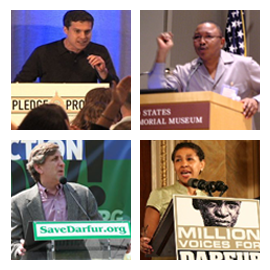 You are here: Home / Commentary on Darfur advocacy / Global Advocacy: How useful are #hashtags and “likes”? I spoke with Amy Costello at Tiny Spark podcasts about global advocacy movements and the challenges of mobilizing the goodwill of volunteers in a way that translates into real change for the people they are advocating on behalf of. You can listen to the podcast here. And more generally I’d encourage folks to check out some of the other podcasts on the Tiny Spark site – some of the most thoughtful interviews I’ve heard with Larissa MacFarquhar, Bill Easterly and others.